This is scary stuff, man. I tend to live on the natural side of life. But I have purchased every type of vitamin, drop, serum, powder, etc…there is trying to balance my desire for health with my desire for things like sleep and macaroni and cheese. I have friends who swear by their supplements. They have this perfectly orchestrated concoction. I just haven’t had that moment, I guess, where me and my supplements truly understand each other and become one with the universe. What are your thoughts, scootadooters? Are you and your supplements in a committed relationship? Or is it all bologna? This entry was posted in Food and tagged cleanse, diet, doTERRA, food, nutrition, supplements, vitamins. Bookmark the permalink. I’m always skeptical of that kind of stuff. Unless I’m told by my dr., I would be nervous about using all that stuff. And, honestly, it seems much harder to keep up with all that than to just eat some veggies and protein!! Hope you are feeling better soon! I take vitamin D lack of Sunlight in winter and extra early runs in Summer while queen of sunblock usage. I do supplement with AdvoCare products. Do I take everything I intend to take every day? Surely not. 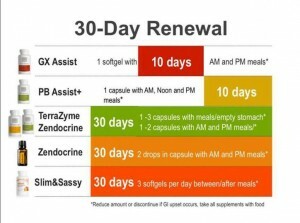 But most days I do well, and I definitely feel more energized when I’m on my supplement game. My schedule is insane with classes that constantly run into meal times, work, working overtime, etc. At least I don’t have to worry (as much, because let’s get real…I’m me) when all I have is a yogurt for dinner.